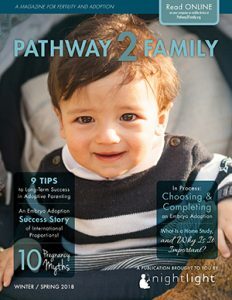 Here, you will find a variety of brochures that may be useful to your adoption agency in educating your patients regarding embryo donation and adoption. None of these brochures have a copyright. Please fill out the form below to download the PDF of the brochure(s) to your computer. You may make as many copies as you would like.